Totally Chocolate has been providing customers with the very best in terms of custom chocolate gifts and customer service for more than thirty years. In that time, we have learned what it takes to develop a business like ours into a success. We base that success on ensuring quality orders show up on time, and we provide each customer with our very best in terms of service and satisfaction. If you’re looking for a quality wholesale chocolate supplier, you might want to consider some of our advice in your search. It may seem a little obvious at this point to suggest that you start your search with Google, but just because an option seems obvious doesn’t mean it shouldn’t be considered. Thanks to things like search relevance rankings, Google is now better than ever with coming up with useful results that are closely linked to what you may be searching for in a wholesale supplier. You can start to narrow your search by checking out things like prices, product availability and even the quality of a company’s website. During your Google searches, you may also stumble on some helpful reviews written by customers like yourself. Online reviews are taken very seriously by consumers and companies alike these days, which is why a bunch of good or bad reviews for one company can be a good indicator of the type of service you can expect. Be sure to pay attention to details like dates and who is giving the review. If a bunch of negative reviews come at one period of time, or are given by one person over an extended period of time, that may not be the best indicator of a company’s overall level of service. Reviews are definitely helpful, but they can’t be completely relied upon all the time. You can take the review advice to the next level if you start asking people you know and trust for suggestions. Online reviews can be a good start for finding suggestions, but we’re willing to bet you’d feel much more comfortable taking advice from someone you know rather than a stranger writing an anonymous online review. You might also be able to take advantage of an existing relationship between a wholesale chocolate supplier and someone you have a personal or working relationship with. There are many cases where wholesalers will offer discounts to you in exchange for referrals or recommendations. At Totally Chocolate, we have built a solid reputation based on our friendly and helpful customer service, excellent selection and top quality chocolate products. This has led to a number of positive reviews from all kinds of customers over the years. 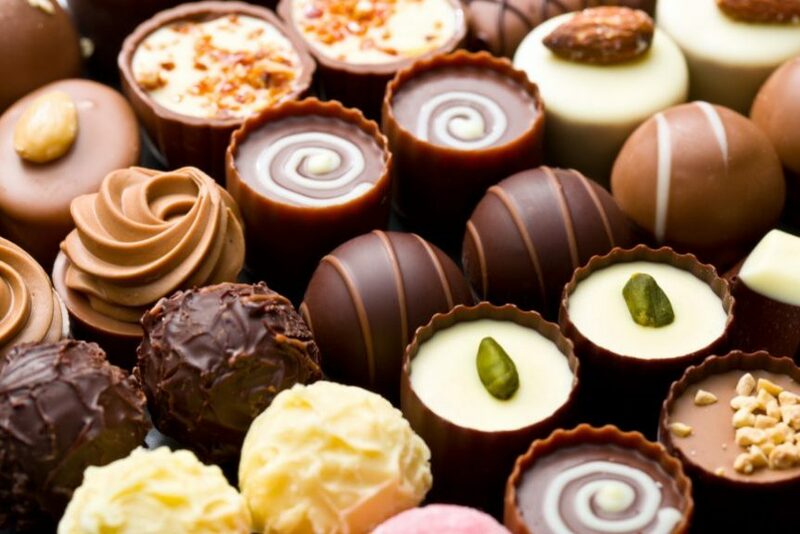 When it comes to finding a wholesale gourmet chocolate supplier, we believe these aspects of a company should always be something to look for. To find out more about our business, and how you can get started on ordering our quality chocolate products, be sure to contact us via phone or online today!